Muzvare Betty Makoni would like to present Roucheon Iloyi as one of the top women the world must know. 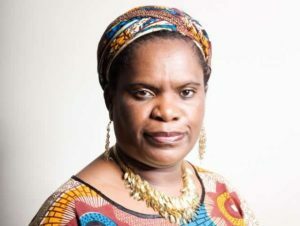 She is placed on top list of Muzvare Betty Makoni and she urges the world to know her. She is the voice that sings for love, peace and harmony. Her music transforms many. Her music inspires many. Muzvare Betty Makoni only picks the best from the rest. Meet her top list around empowerment and leadership and the women who are unsung heroes. When Roucheon Iloyi told me she is making a Never again song for me I ran out of words as I kept thinking who am I to be honored by such a songbird. Today as it is announced officially that she has made it to mainstream UK charts with her music …let’s support her.It is confirmed now.Her husband Femi Iloyi who I know to be her greatest support has our Royal Clap. Am posting more news here and it is time to cheer this great Zimbabawean unsung hero in music.I personally saw her talent and I was just confident the world will put her amongst greatest female musicians.She is there and let’s celebrate. Roucheon Iloyi is a creative entrepreneur and leading the way to inspire many women to live their best lives. A performance artist in true form her music has touched thousands of people around the world. Founder of FEROmedia, the Global brand that streams art in all forms from film production to music videos, the brand continues to set the pace sharing ground breaking media.MTV award winner, Women4Africa award winner, WWA nominee, MOBO nominee, the multi talented songstress has been honoured for her contribution to the industry. Hailed as ‘The Next best thing to come out of the UK’ on Thisis50.com, Roucheon is a singer, songwriter, producer, and lyrical MC who brings a hip-hop edge to her soulful sound. With 11 albums released to date, a catalogue of videos and a documentary series the world is paying close attention to this rising star.Her musical history began in childhood growing up she was surrounded by performance as her mother Charlene Robertson, a number 1 selling artist in Zimbabwe exposed her to the music business and stage very early on. Music was and always has been a natural part of her life. Through her teens she developed her love for poetry, writing and rhyme, learning of the hip-hop culture from where she became part of a group called Royal priesthood. The group became an instant success, went on to impact the underground hip-hop scene as well as getting attention from major labels. With their dynamic stage presence and heartfelt music Royal priesthood represented family and an authentic sound that had transformative power for the listener. Ahead of their time, pioneers with relentless productivity, their choice to build independence was influential and gained the respect of their peers. As well as music Roucheon has an instinct for fashion and design; in 2010 she launched a jewellery line called Love Royelle, a collection of handcrafted pieces as unique and elegant as she is. The gorgeous range quickly caught the attention of woman nationwide and the underlining theme was the beauty of womanhood, love and royalty. Having a passion for people is essential to her work. Over the years she has taken on many causes. Being a founding member of ‘Urban Truths’ a showcase started back in 2000 to reach the wider community about social issues led her to work alongside, ITV, MAG and a wide network of artists to use their talents as a voice to affect change. She has been a spokesperson for the Platform2 initiative sponsored by DFID (Department for International Development). The project was one that enabled almost 2000 18 to 25 year olds to visit a developing country and get involved with global issues of justice and poverty. She has a passion for women and has been a speaker, motivator and mentor to many through her creative art and lifestyle. Her body of work has been instrumental in helping many to become self aware and empowered. Roucheon as a solo artist released her debut album ‘Love Royelle’ in 2011 from which the title tracks ‘Never Gone’ and ‘Mid Night melody’ once again had Dj’s worldwide locked in. She continues to be a sort after female lyricist and her vocals have been described as ‘Evocative and hauntingly beautiful’. She has the ability to touch the soul. She takes full creative control, is responsible for her image and clearly understands her brand. She is also a director playing a vital role onset when it comes to her videos. Her media work includes clients such as BET and Centric networks in the USA with whom she’s worked on in the production of television advertising. As well as managing a thriving business Roucheon finds time to balance being a wife and mother to three very talented young boys. One of those boys 2year old Khaliyl, stared in a special clip of him rapping. It went viral, was aired on all major TV networks worldwide, featured on the websites of major celebrities and even appearing on The Ellen Degeneres show. Her family is a true representation of the wealth of African culture as she is Zimbabwean and her husband Nigerian.